Mostly clear, with a low around 47. West northwest wind around 6 mph. Mostly sunny, with a high near 82. Calm wind becoming south southwest 5 to 7 mph in the afternoon. Partly cloudy, with a low around 49. West northwest wind 5 to 8 mph. Patchy blowing dust after 3pm. Mostly sunny, with a high near 78. 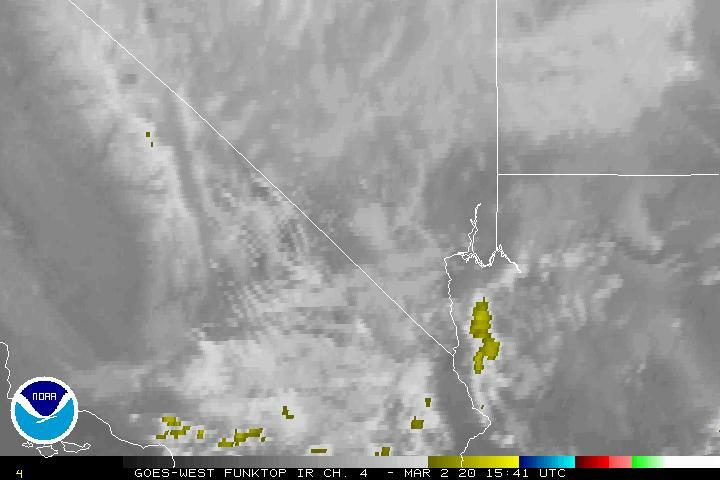 Breezy, with a light west wind becoming west southwest 18 to 23 mph in the afternoon. Winds could gust as high as 32 mph. Patchy blowing dust before 9pm. Mostly clear, with a low around 43. Northwest wind 9 to 18 mph, with gusts as high as 26 mph.